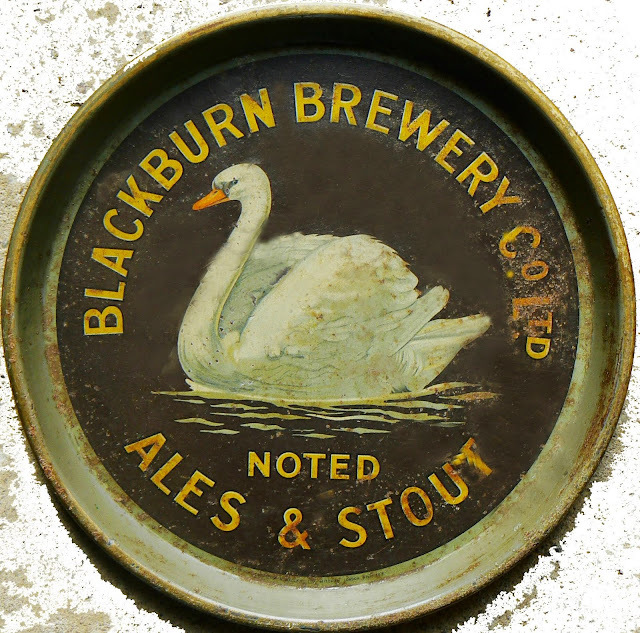 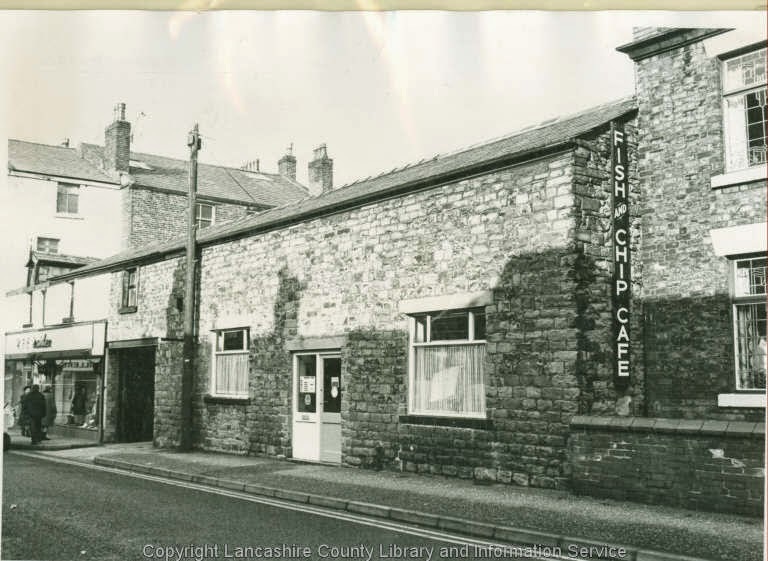 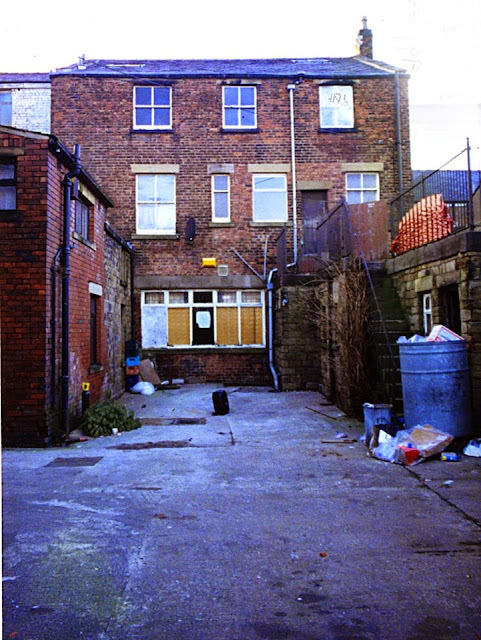 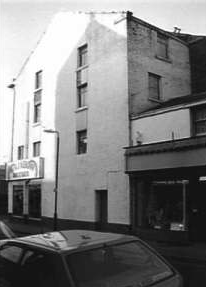 Licensee of the Fazackerley Tap were Moses Jackson (1851), James Hulme (1861), Frederick Lucas (1881), John Taylor (1891), William Harrop (1911) and Annie Harrop (1911). 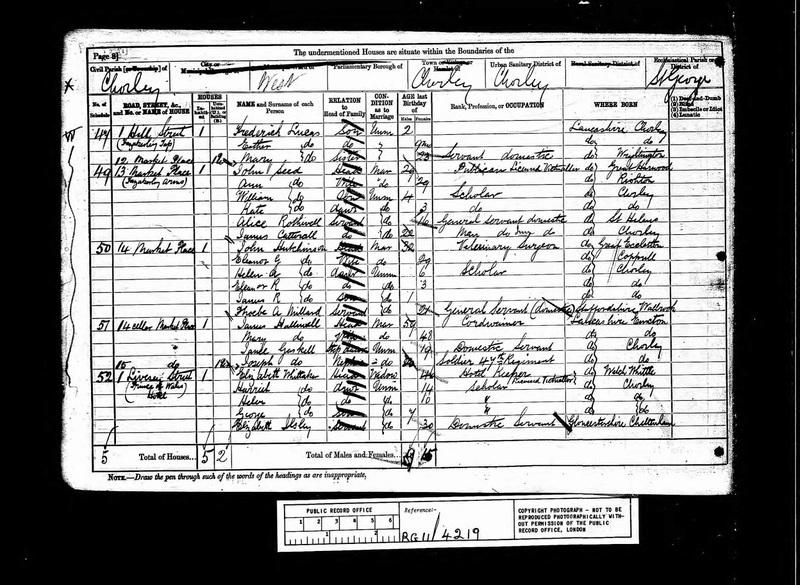 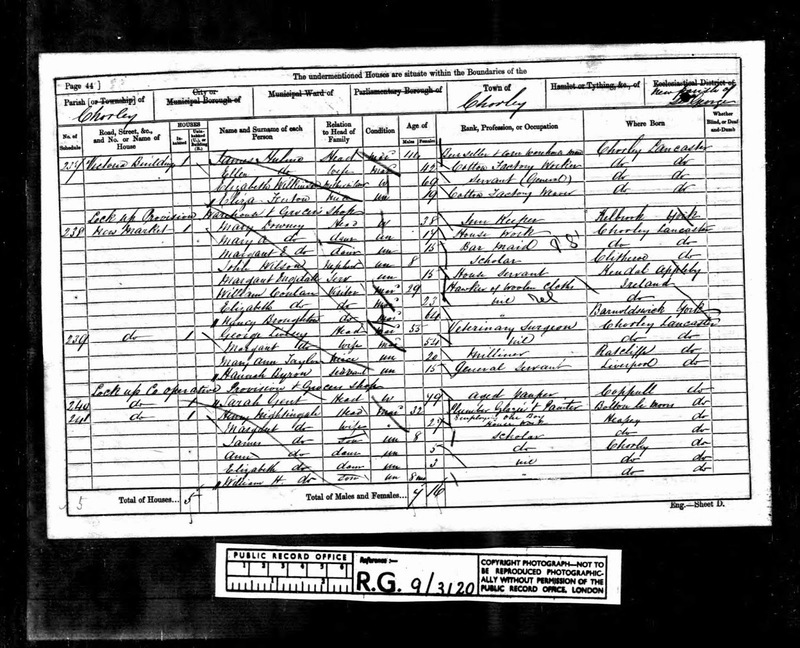 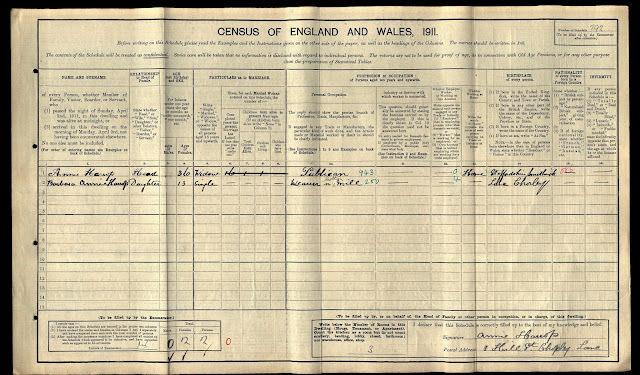 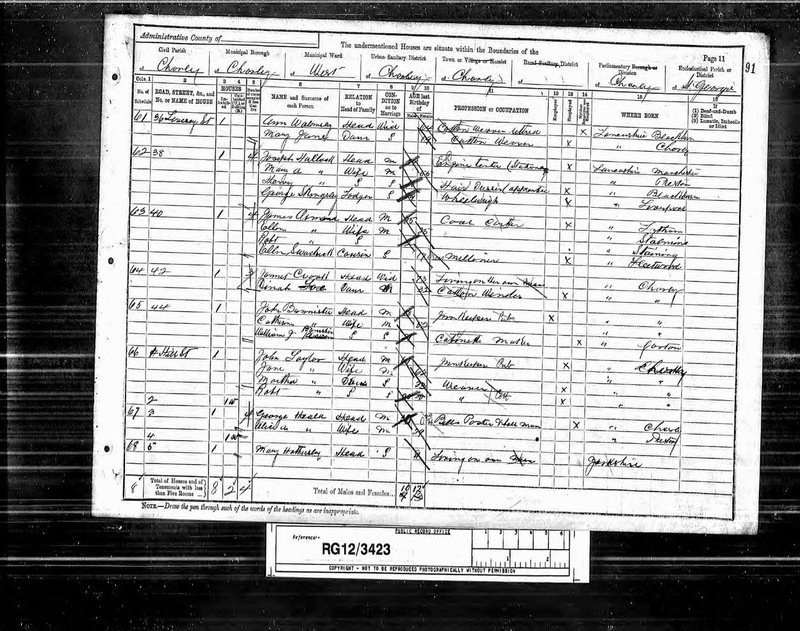 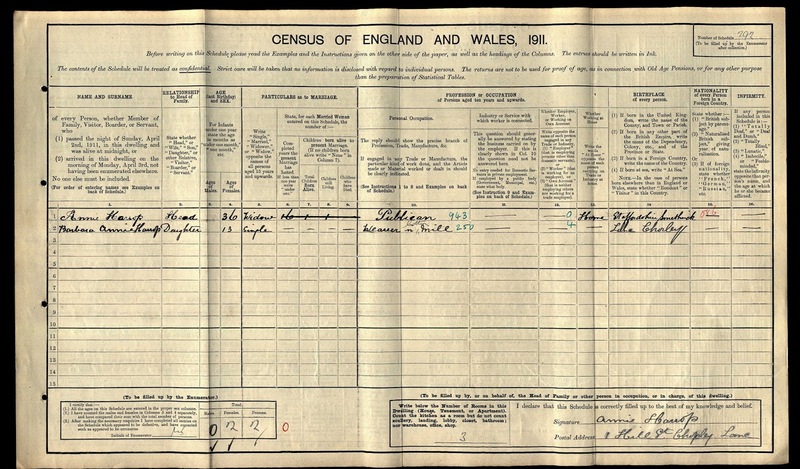 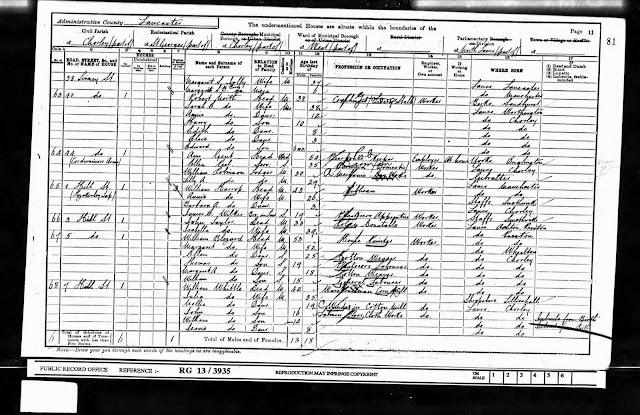 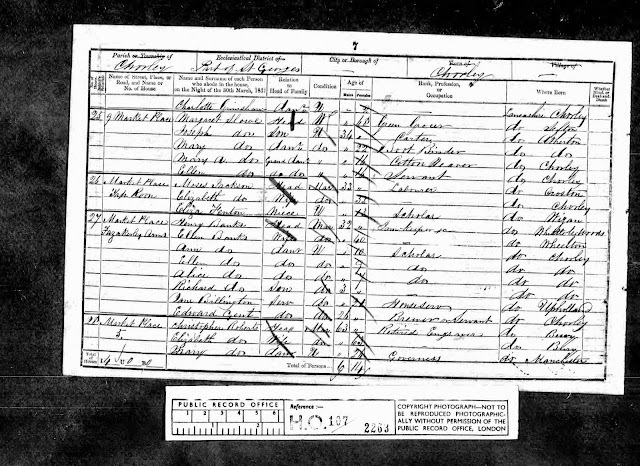 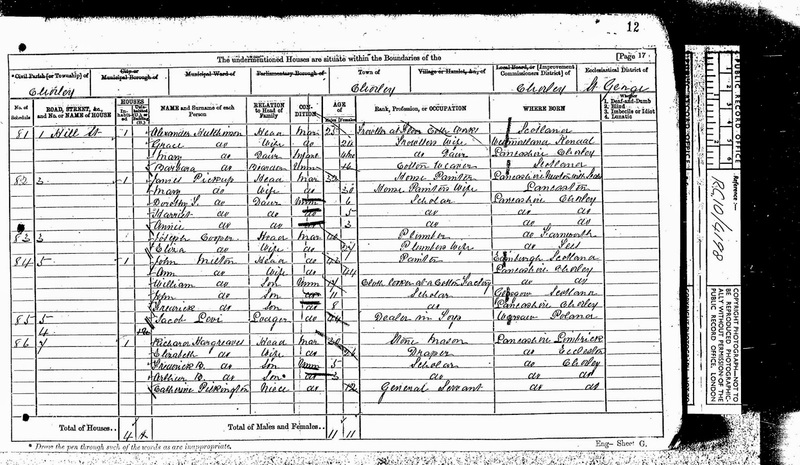 The 1871 census record above confirms that the premises was not always used as the Fazackerley Tap and in 1871 was the home of Alexander Hutchinson and his family. Alexander was working as a shoveller in the floor cloth works. 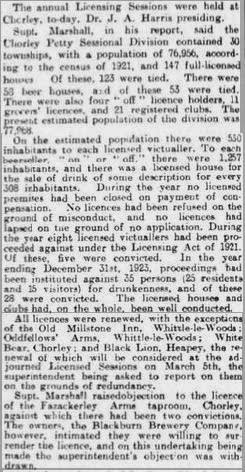 The press cutting below shows the Fazackerley Tap owner was the Blackburn Brewing Company in 1924 when following objections from the local police superintendent they surrendered the licence.